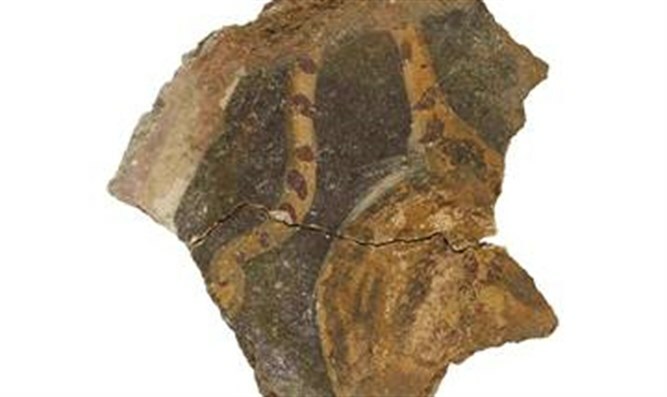 Hebrew University archeologists have unearthed rare frescoes of the life and culture of Jews in ancient Zippori. The population of Zippori prior to the Great Revolt against the Romans was not very large, and archaeological finds dating to this period are particularly notable for the absence of figurative images – both humans and animals. The construction of the Roman city of Zippori after the Great Revolt, in the late first century and the second century CE, is indicative of a change in the attitude of Galilean Jews toward Rome and its culture. The city gained the status of a polis thanks to its loyalty to Rome during the Great Revolt, and constructed monumental public buildings, as befit a polis, that stood out in the urban landscape. This building boom also included the monumental building discovered north of thedecumanus whose walls were decorated with frescoes, and whose remains were discovered during this season.